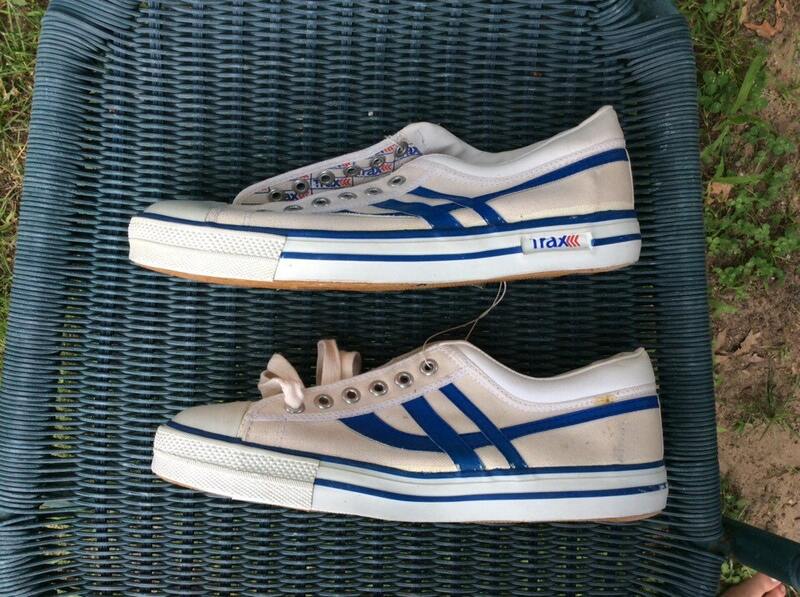 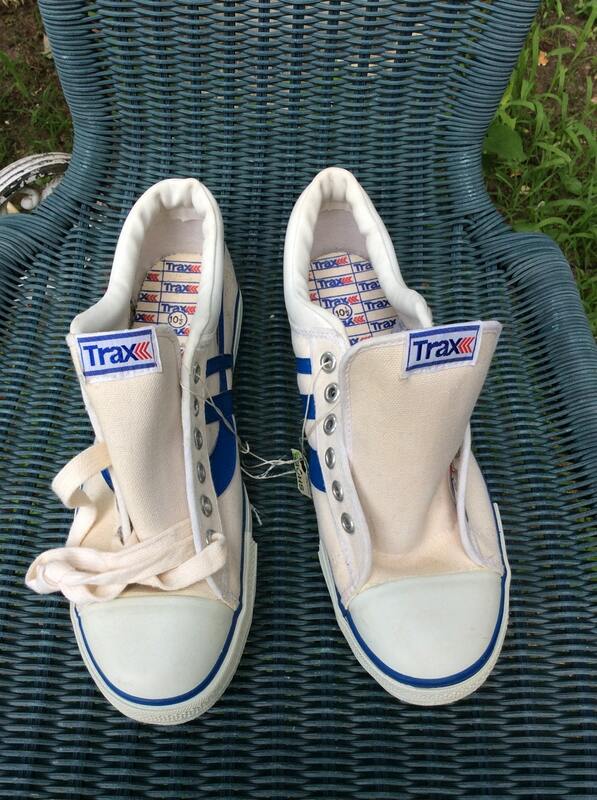 Here's a pair of deadstock Trax sneakers from the 1970's. 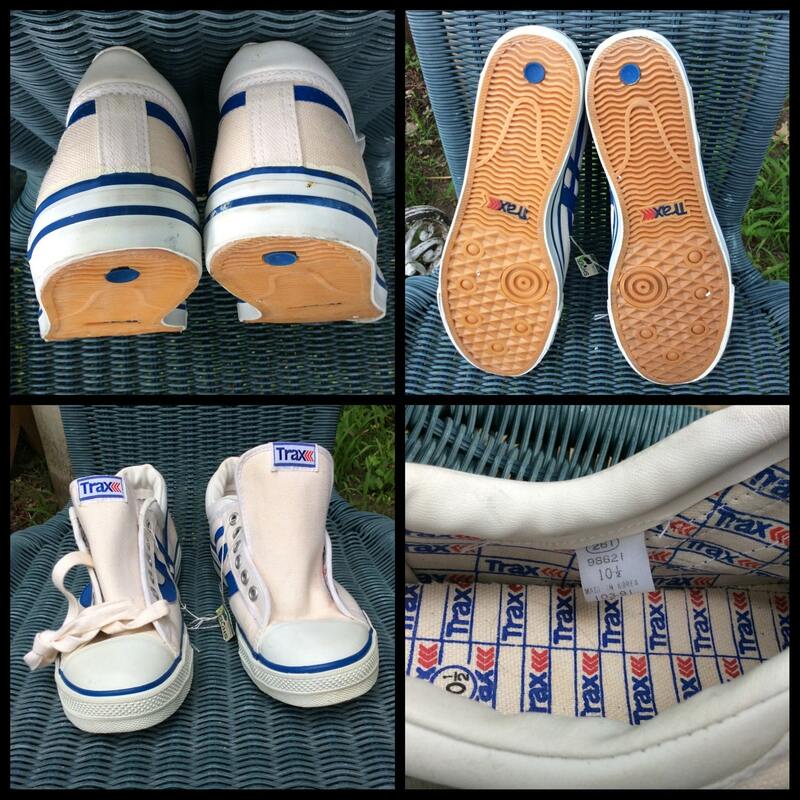 They have good, flexible rubber soles. 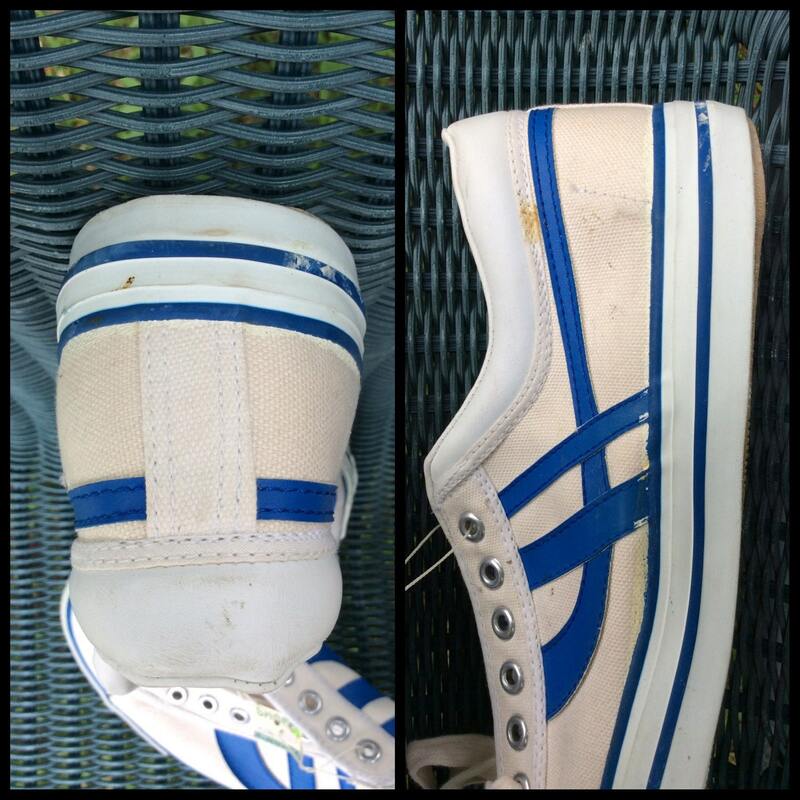 There's a little dirt on the right shoe by the ankle and heel. 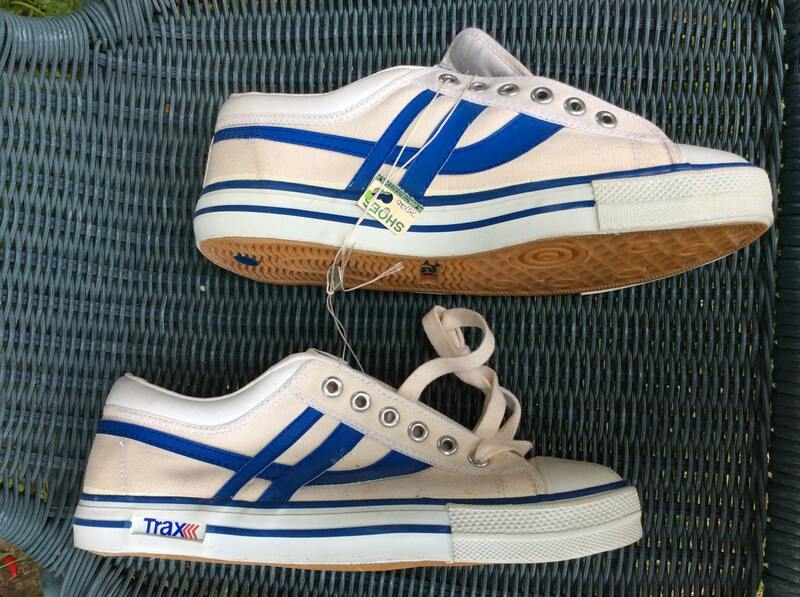 Otherwise, they are in excellent condition.